The streamlined bullet nose 'J_ Class 4-8-4 engine #611 steps out on one of her rare trips across the summits of the Norfolk and Western main line between Roanoke and Portsmouth. Helicopter footage tracks the engine and passenger train into the Allegheny Mountains to places far beyond the beaten path: steaming into tunnels beneath vertical cliffs and blazing across isolated bridges. 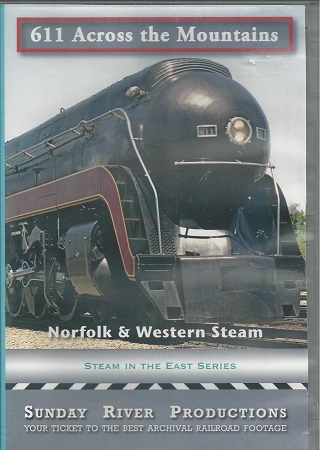 Jim Bistline, General Manager of Steam Operations for the Norfolk Southern, describes the trials of keeping the history of steam alive. 611, a marvel of precision engineering and striking beauty, along with the Independence Limited, inspires both warm and poignant memories that are captured here permanently for every one of us to keep.